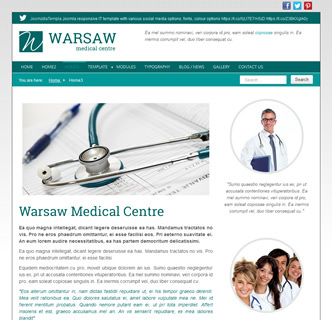 Warsaw Medical is an ultra versatile Joomla template that is responsive, fast loading, comes with various customisation options and works great for a doctors or related website. When you purchase this premium Joomla template you are purchasing an easy to use professional Joomla template that comes with a quickstart package allowing you to replicate the demo in just a few clicks. It also comes with a user manual and easy to use features. This Joomla template can be customised from the template manager screen and you can choose from 2 width options, multiple colour options, various fonts and various social media links. 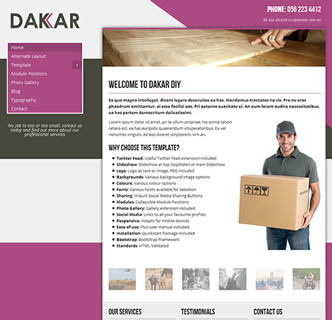 Once of the options from the template manager screen is to set the logo as an uploadable image or enter text. This medical joomla template also comes with the logo in PSD format allowing you to modify the vector to suit your needs if required. 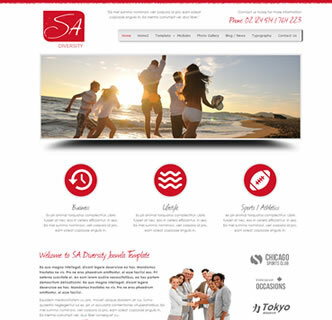 This template is bootstrapped and is a responsive design that looks great on mobile phones. 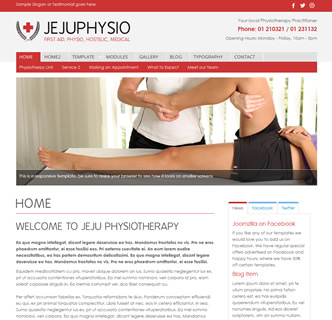 Click on the "Home2" and "Home3" options to see just how many various options you have with this joomla GP/Medical easy to use template. 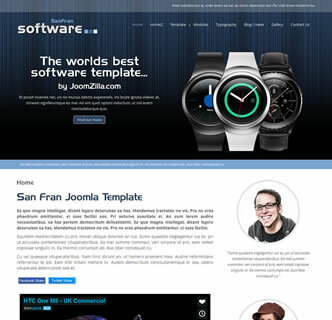 San Fran Software, the best Joomla template to showcase your product, application or software. With a useful array of showcase/slideshow options and various customisation options its a high tech template sure to please. 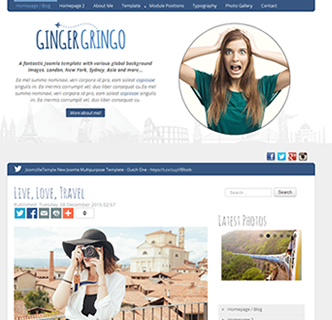 With this template you can choose various colours, various fonts, module positions and social media links directly from the template manager. This joomla template is a responsive template, using the inbuilt twitter bootstrap framework so there is no need to install any additional software. 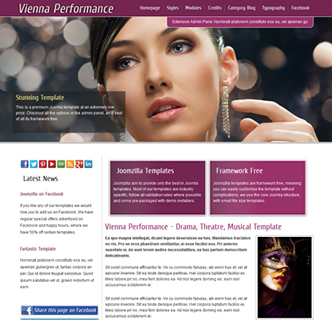 It is fast loading with no external dependencies, making use of the font-face system and only inbuilt Joomla features. This template comes with a user manual, a quickstart package allowing you to re-create a copy of the demo, the logo in vector format and the extensions used in this template. 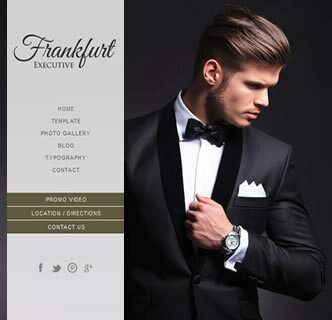 Tryout this template by clicking on the link to the right, and be sure to checkout the various colour options, the photo gallery and the "homepage2" page. 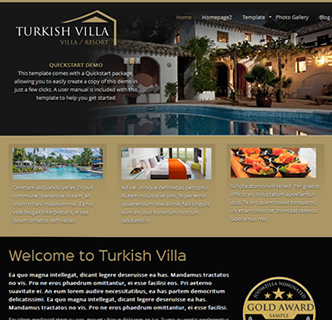 Turkish Villa is an elegant Joomla template that is responsive, fast loading, easy to use and features an elegant appearance with various customisation features. With its classic and sophisticated design this premium template is the best Joomla template for holiday villas, hotels, barbers and salons. As with most of JoomZilla templates this stunning Joomla template allows you to choose from a range of colours, fonts, social media links and sharing buttons, as well as collapsible module positions. There is no complicated code, its fast loading, comes with the logo as a PSD and uses only 3 additional extensions - all included with the template. For an example of the versatility of this Joomla template be sure to click on the "Homepage2" page to see a different layout and style. To test out this demo click on the link below or else on the attached image.